The Yorkiepoo is a designer dog that was bred by crossing the Yorkshire terrier with the miniature or a toy poodle. There are well known for being one of the few varieties of hypoallergenic dogs and are not recognized by most kennel clubs. The Yorkiepoo was originally trained to be a trainable lap dog. It takes on both the characteristics of their parent breeds. The Yorkiepoo was developed by crossing the Yorkshire terrier with the toy poodle. Many breeders are also now crossing the Yorkshire terrier with the miniature poodle as well. This creates a wide variation in sizes and weights of the Yorkiepoo. Those breeders that are truly dedicated to creating a new breed of dog will only breed toy poodles with Yorkshire terriers. This practice will eventually result in a more reliable size in addition to weight limit for this cross breed dog. Yorkiepoos should be fed a diet of high quality Kibble. Unfortunately they can be rather picky eaters. A tiny amount of canned food can be mixed in with their dog food in an effort to get them to eat. 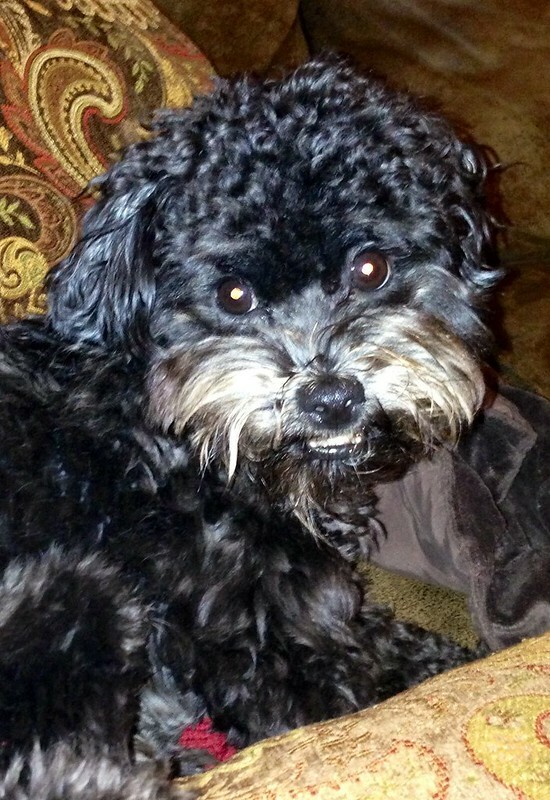 Without eating dry dog food the Yorkiepoo can suffer from gum disease, tooth loss and bad breath. This is a very easily trainable dog as they are incredibly eager to please their owners. Positive training methods should be used with this dog as rewards like food will be highly effective in training this breed. You need to be careful though to not get to use to feeding them treats when you're trying to train them as you do not want your dog to become obese. This breed can quickly learn basic commands and can even learn fun tricks like crawl or play dead. They are incredibly enthusiastic to entertain so they will be very willing to learn what you want to teach them. This hybrid dog has been used in dog sports like agility and is also a therapy dog. Yorkiepoos should range and weights from between 5 to 12 pounds and need to stand between 7 to 10 inches tall. The Yorkiepoo is a very lively dog that attaches quickly to their family. This hybrid dog is extremely affectionate and loves to be with their people. This is not a breed that does well being left alone in a crate or by themselves for long periods of time. If they are left alone for long periods of time they will tend to bark excessively and other behavioral issues. They would do best to be with the family that can spend a lot of time with them. They are very friendly so they will not make good watchdogs as they will happily great everyone that comes into their house.